Homeschooling Styles - Tailor your homeschool approach to your personal style. When begining to homeschool we can look at different homeschooling methods and options - but it is also very important to bring into play our unique personal style. For some people it is hard to maintain the effort needed to implement homeschooling on a daily basis. But there is a way to play to your strengths and still be successful. There are different types of people and what works well for one, does not work for another. Of course, we must tailor our homeschool to our children's learning styles - but working against your own natural style is a recipe for disaster. Some of us are 'short-burst' type of people. You know the type! I can spend several hours planting up hundreds of seeds and seedlings in an effort to grow my own food. I will water them diligently for a week .... and then I lose the plot. Those little plants are lucky to get watered every couple of weeks after that. I am happy to put in a short burst of effort to set things up. But I can't maintain regular diligence. The solution? To recognize this aspect of myself and plan for it. So for the seedlings, as part of my initial setup, I now set up a watering system (plastic bottles like this) that will help me through. Homeschooling can be like that too. Some homeschooling requires a consistent, focused effort - every day. But not all of it. 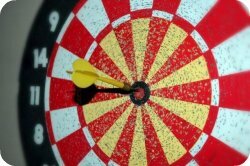 You can be successful using a targeted approach if that is what suits you. Just be sure to play to your strengths. When planning your homeschool schedule think about your own style. Are you good at implementing things on a daily basis? Then it will be easy for you to adopt a systematic homeschooling style. You may find a homeschool curriculum suits you well. Or plan out your schedule so that small chunks of a subject are worked through steadily. If you would like a more creative style then the Workpockets approach or One Hour Schedule would be ideal as a way of structuring your studies. Approach your other tasks in the same way - for example a daily cleaning routine would work well for you (see Motivated Moms). If you tend to get bursts of enthusiasm about things, then a more targeted homeschooling style will suit you more. With this approach you should plan your homeschool to target a particular subject for a while, then switch when everyone is losing enthusiasm. Keep these subjects to a minimum and use your bursts of energy to plan out EXACTLY what you will do on these subjects each day over a period of time. You need to make it as easy as possible for yourself to do 10 minutes of Math every day with your children (for example) - or you will fall by the wayside! Other subjects (history, geography) can work very well well with a targeted approach. Tailor your unit studies or lapbooks to fit your natural timescales. You may also find a Time Out Homeschool Schedule works for you. Batch up your chores for a targeted homeschooling style - we have Tidy Up Day on Friday, when I run through a whole weeks worth of chores. Yes of course. We tend to assume that homeschooling needs a systematic style, but short bursts of effort can produce great results. Just make sure you are not 'distracting' yourself with trying to maintain effort on too many other things at the same time. Give yourself over to the task you are concentrating on. Play to your strengths. Recognize how you are and work with it, not against it. Put procedures and routines in place to help you with the more regular tasks. We always listen to audiobooks in the car. Just small journeys here and there have added up to a lot of really good classical literature. It is automatic now for me to grab my MP3 player as we go out of the door. Don't take on too many 'regular' tasks if that isn't your thing. 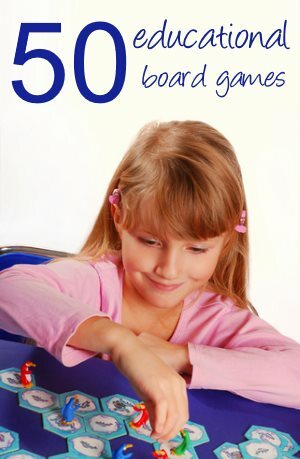 Concentrate on 'times-tables' or 'reading aloud' but ditch the other non-essential ones. You won't keep them up. Plan ahead for your failings. For example, if you decide to adopt the Workpockets approach then make sure you have a large pile of work cards BEFORE you start. And set aside a time once a month to write some new ones. Plan in chunks. Instead of trying to cover EVERY subject each day, plan to cover one for a while - a monthly focus say. You will be surprised how these focused projects will automatically cover a lot of other subjects. Whichever homeschooling style you prefer - I have some great ideas you can use in your homeschool. Sign up for my monthly newsletter for regular doses! 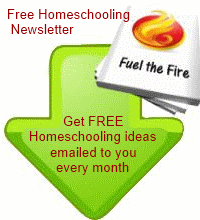 Would you like to get homeschooling project ideas direct to your email inbox?